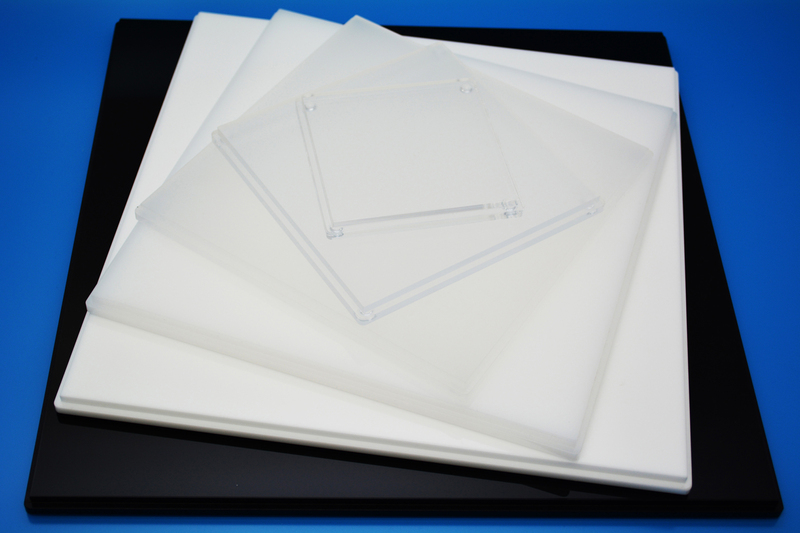 Display cube bases are manufactured in Clear, Opal, White and Black acrylic as standard and are made to work with our standard range of cubes. 100mm³ | 150mm³ | 200mm³ | 250mm³ | 300mm | 350mm³ | 400mm³ in either 6mm acrylic or 10mm acrylic. Other colours are available on request and custom made display cube bases can be manufactured to suit your specifications. Please contact us with your requirements.